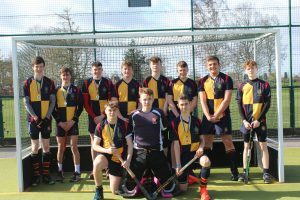 home > Calendar & News > Latest News > Uncategorised > 1st XI Boys Hockey Team continue with their impressive form on the back of success at Eastern Regional Finals. 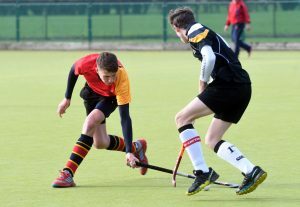 Saturday 9 March, WGS 1st XI Boys Hockey Team played host to Gresham’s School on their first home match of the season. 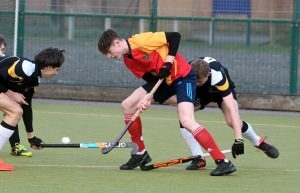 On the back of their successful Eastern Regional Finals on Thursday, the team were certainly looking to continue their winning streak. Gresham’s started the game with high intensity, which suited WGS’s style of hockey. Both teams had early chances, but both Goalkeepers were in fine form and eliminated chances confidently keeping both teams in contention. Wisbech Grammar School started to turn the intensity of the match up, forcing Gresham’s to defend into their own half. 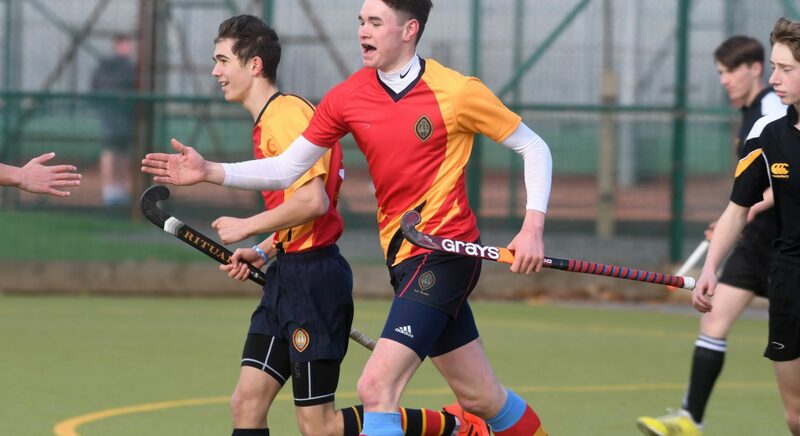 With this dominant play, the boys capitalised on a strike coming into the circle, which Frazer Brown managed to get his stick to, opening up the score line. It wasn’t long before Gresham’s scored the equaliser. The team have been very solid in the defence and midfield all season, dominating the majority of the play, and were awarded a short corner. Sam Landles converted from a slip pass from Matt Goodley. 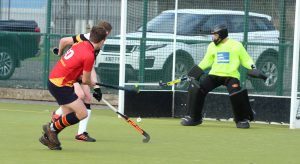 Matt went onto put the game to rest following a penalty corner in the second half, which he struck into the net to take WGS to a 3 – 1 lead. Gresham’s didn’t give up though and went onto scoring a well taken goal, bringing the tally to 3 – 2. 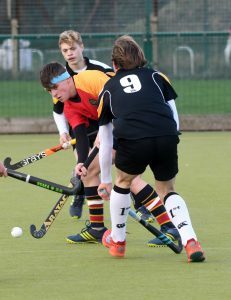 In the final 10 minutes of the game Wisbech Grammar School dominated and had repeated counter attacks into the Greshma’s circle, but just couldn’t find that clinical touch to take the score line higher. James Kerry, Sam Landles, Sam Phillips, Joseph Reed, Jack Robb, Shen Wei Lim, Louis Jones, Frazer Brown, Matt Goodley, Charlie Staley, Harry Fox and Joshua Porter.